Laminitis is an inflammatory condition of the laminae. The sensitive laminae and the insensitive laminae interlock together to hold the hoof wall to the pedal (coffin) bone. Nerves and blood vessels fill the sensitive laminae which help support the horses hoof and lower leg. Laminitis results from the disruption of blood flow to the laminae in the foot. This disruption can cause the union between the laminae and the hoof to separate. In severe cases the pedal bone will rotate and begin to penetrate the sole which causes intense pain. Your vet will advise you on the appropriate diet, normally limited forage and high fibre and low starch feeds. 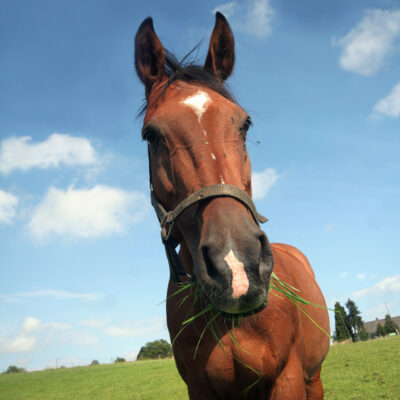 Why does grass cause laminitis? Temperate grasses contain large amounts of carbohydrate (sucrose, fructose, glucose and fructans). Dietary induced laminitis is associated with high fructan levels. Temperature effects fructan accumulation so on a cold sunny day they will build up. Grass stores more fructans in its stems than leaves. It is very hard to predict fructan levels and large changes can take place in short periods of time. 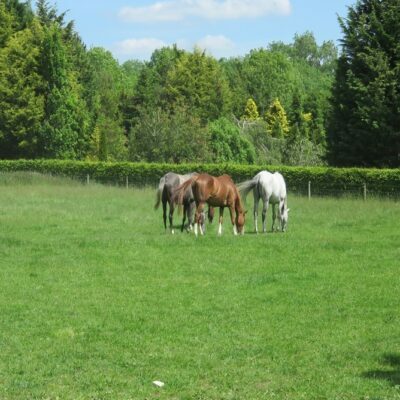 The obvious is to restrict a horse or ponies intake of lush green grass! Firstly we need to understand what components of the horse’s diet put them at risk of laminitis. Lush green grass can have high levels of sugars and grains contain starch (broken down to simple sugars such as glucose). Hind gut fermentation – Excess sugars and complex carbohydrates move onto the large bowel because they take longer to digest. 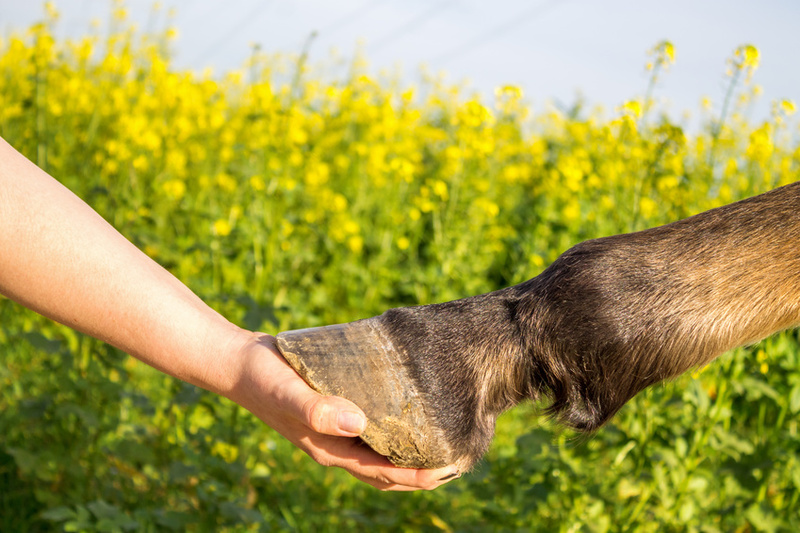 Laminitis can develop when excess sugars are absorbed and hyperinsulinemia occurs (higher levels of insulin circulating in the blood than glucose). Unless horses are in hard work they do not require hard feed as long as you are providing them with the necessary vitamins and minerals. Feed a high fibre diet and soak hay which will take out some of the protein and carbohydrate content. Manage grazing carefully. Use ryegrass free grass seed mixtures https://www.jubileeseeds.co.uk/product/js41-good-doers-laminitics/ and you will find strip grazing where possible is a safer alternative. Do not turn out on Frost or very stressed paddocks!